The high altitude desert wilderness of Northern Utah is a beautiful but unforgiving environment. When a troubled teen is moved from a comfortable home into this harsh, rugged landscape, everything that they take for granted disappears. Being removed from everyday influences — good and bad — allows the student to look inside themselves without interruption. This is the perfect setting for growth. 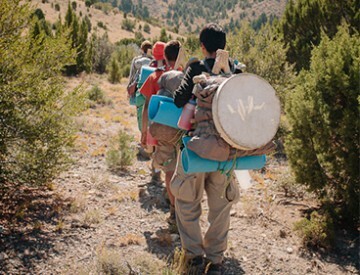 Troubled teens who come to Outback Therapeutic Expeditions for wilderness therapy live in small groups and hike three to five days a week through four mountain ranges located within our 900 square mile course area. Days are divided into physical activity, studies, and therapy — all catalysts for the changes that will be necessary for a healthy, happy life. Hikes take place throughout our programs, and generally range from 2 to 8 miles through the scenic mountains and valleys of our course area. Assignments are designed by therapists to help students achieve their goals, resolve challenges, and develop communication skills. 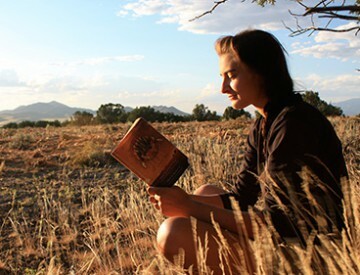 Ngarna Wukas are academic curriculum books designed to enhance student progress in the program while earning academic credit. Primitive skills are essential to each program. These include making gourd drums, wood flutes, moccasins, bowls, baskets, and various other leather, clay and wood crafts. Of course, fire-building is an important skill that's taught during every program. Games are taught, such as traditional Native-American Double Ball - a team game where the ball is moved only by throwing it with a curved stick. It's passed from one player to another, but cannot be touched with the hands or feet. 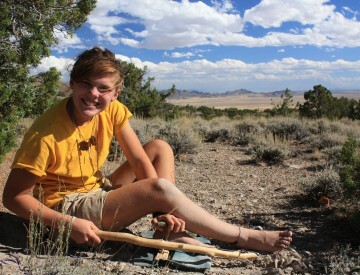 Campsite set-up and break-down techniques are taught according to “Leave No Trace” principles and practices. 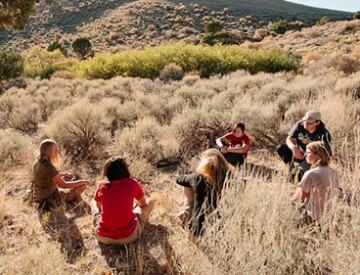 Every evening, a gathering is led by field instructors and, at times, by the students themselves. These loosely structured conversations are designed to increase self-awareness and understanding. Group initiatives are led by therapists and staff. They are designed to foster teamwork, leadership, trust, and a sense of interdependence in the group. 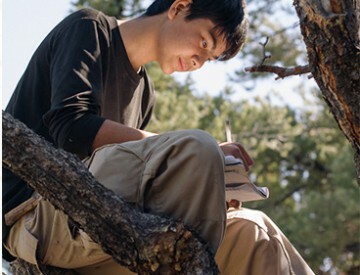 Every night students have one hour of personal time This time may be spent journaling, writing letters to family, working on academic projects, or completing wilderness therapy assignments. Hands-on classes are conducted, in which teens discuss the flora and fauna surrounding them. We also discuss the value of respectful coexistence with our environment. Two days a week are designated as “therapy days.” Students do not hike — they participate in many of the above-listed activities, meet with their therapist for an individual therapy session, and participate in group therapy sessions. This ongoing emotional support provides help for troubled teens in a challenging, yet nurturing, environment. 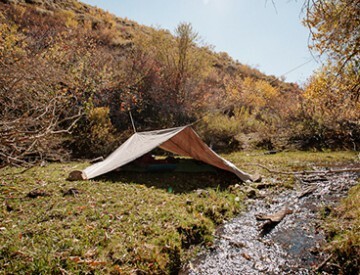 Teens in our program sleep in tents every night with the mountains as their backyard. 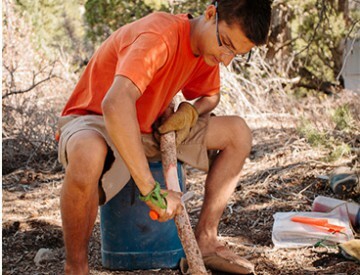 Troubled teens develop close bonds with their peers and staff through campfire meetings under the stars, invigorating hikes across breath-taking landscapes, a hands-on outdoor classroom, and a series of group challenges. With assistance and feedback from their field instructors, students learn how to care for themselves, their belongings, and their fellow group members. 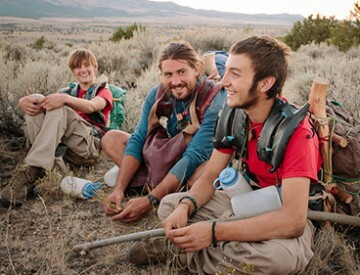 Soon, they become a “wilderness family.” This support system offers a great deal of help for troubled teens. Each day at Outback Therapeutic Expeditions is different, depending on the therapeutic needs and goals of the students. 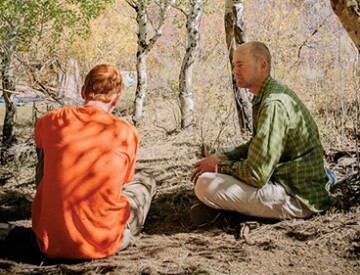 Because the wilderness therapy program at Outback relies heavily on natural consequences, students’ attitudes and decisions influence the way the day unfolds.